Kenya’s capital, Nairobi, (a prime area) is one of the largest cities in Africa and a major financial and political centre for the continent. Nairobi is also popularly known as the “Green City in the Sun”, getting the nickname from the many open green spaces found scattered throughout the metropolitan area. The most famous open space in the city is the Uhuru (Freedom) Park, which faces Nairobi’s central business district and the Upper Hill neighbourhood. It is a popular place for hosting speeches, large services and rallies. Uhuru was one reason why environmental and political activist Wangari Maathai won the Nobel Peace Prize in 2004. Former President Daniel arap Moi had wanted to build a 62-storey building in the park. But through Maathai’s efforts, the park was saved. Other large green spaces worth a visit in the city are City Park, Nairobi Arboretum and Jeevanjee Gardens. Sitting on the banks of the Nairobi River, almost 6,000 feet above sea level, the city was founded in 1899, originally as a rail depot linking Mombasa to Uganda. During Kenya’s colonial period, Nairobi grew into the capital of British East Africa, and became a centre for many of the colony’s prime industries, including sisal, tea and coffee. Multinational companies and international organizations, including the United Nations Environment Program, the UN Office, Google, Coca Cola and General Electric have their African headquarters in the city. The Nairobi Stock Exchange is one of largest in Africa, bringing in 10 million trades a day. All of these contribute to Nairobi’s being a hub for business, culture, international relations and social action. It is also an international media centre for networks such as the BBC, Reuters, the Associated Press, CNN and Agence France-Presse. Nairobi has two major English-language newspapers, the Daily Nation and The Standard, the most widely circulated papers in the East African region. There is still a British presence in Nairobi’s society and culture. Many of the city’s districts have British-sounding names, such as Parklands and Hurlingham. When Nairobi was under British rule, many immigrants from other British colonies, especially Pakistan and India, settled here. There are also numerous established communities from Sudan, Gujarat and Somalia. Seeing all the temples, mosques and churches in the city is a testament to this great diversity in its population. While not really known as a key tourist destination, Nairobi still earns the nickname “Safari Capital of the World”. For nature lovers who come to the country to see its diverse and fascinating wildlife, the city has a number of accommodations—from luxury hotels to smaller, more budget-friendly places—they can stop at before venturing forth into the country’s wildlife reserves. The most accessible one to the visitor to the capital is the Nairobi National Park, which is unique in that it is the only game-reserve of this kind to sit next to a city of Nairobi’s size. While not as expansive as other sanctuaries around the country, it does offer great safari walks and on-foot, direct experience with animals. The Nairobi National Park is home to giraffe, lion, baboon, wildebeest, cheetah and black rhino populations and some 400 species of birds. Make sure to check out the Nairobi Animal Orphanage, a rest and recuperation house for wild animals found injured, abandoned, or orphaned. If you’d like to check out more of Africa’s protected wildlife, stop by the Giraffe Centre, Mamba Village and Ostrich Park. At the Giraffe Centre, which was put up by the African Fund for Endangered Wildlife in 1979, visitors can observe and feed these gangly, graceful animals and stay at the Giraffe Manor, a popular guest home. Mamba Village is the home of dozens of Nile crocodiles. The best time to go there is during the feeding frenzy at mealtimes, when visitors toss large chunks of meat into the dangerous open jaws of the always-hungry reptiles. There are fishing facilities and a lounge and a restaurant here as well. Across the bridge that goes over Mamba Village’s man-made lake is Ostrich Park, home to dozens of the large, flightless birds. The Snake Park is in the same compound as the National Museum of Kenya. This living exhibition has a complete collection of all the species of indigenous reptiles. Back in civilization, the Solar Ice Rink in a Nairobi hotel is the largest ice rink in Africa and a popular attraction. It covers 15,000 square feet and can accommodate 200 people at a time. The most common form of transportation in Nairobi is the bus. The most distinctive form of public transportation are the matatus, colourful minibuses that fly along the road, their sides painted with images their owners’ favourite football team, musician or even political figure. Matatus are equipped with televisions and music systems, supposedly as a way to attract more customers. Generally seating 14 to 24, it is not uncommon to see them stuffed with more people. For the less adventurous (or foolhardy), taxis are a more familiar option. Nairobi is a great place to do some shopping. Outside of modern shopping complexes, such as Sarit Centre in the Westlands and Yaya Centre in Hurlingham, Narobi also has open-air markets and quaint curio shops that are fun to explore. The most popular open-air market is the Masai Market, which operates in different areas depending on the day of the week. It is a great venue to haggle over intricate handicrafts, jewellery, souvenirs and other items. Scattered all over the outskirts of city are the Mitumba Markets, a second-hand bargain paradise for the fashion-savvy on a budget. Sport plays such an important role in Kenyan culture, so it is no surprise that the capital city has numerous facilities for all sorts of athletic activities. Nairobi offers excellent facilities for golf, horse back and camel riding, tennis, squash, rugby, cricket, soccer, swimming and fitness training. Sporting events that should not be missed include t Tusker Safari Sevens, an annual rugby tournament that includes teams from Sub-Saharan Africa, South Africa and UK, and the Nairobi Marathon, which attracts serious runners from all around the world. This is not at all surprising, since some of the greatest marathon runners in the world have been from Kenya. Visitors to the Nairobi Marathon come not only not only to participate, but to watch Kenya’s famous runners in action. Before leaving, try to take part in a goat-eating (nyama choma) session, an integral part of Kenyan culture. Outside of the sheer volume of goat meat eaten during a single session, these meals are also defined by groups of friends coming together to share a meal. There is a huge gap in Nairobi’s standards of living. The majority of wealthy Kenyans live in Nairobi, but the majority of Nairobians are poor. Over half the population lives in slum areas that cover 5% of the city’s area. Large estates are found all over the city, most especially in west Nairobi. These include neighbourhoods like Langata, Karen, Parklands, Westlands, Hurlingham, Milimani and Nairobi Hills. In the last few years, there has been an emergence of a fast-growing middle class. To accommodate this growth, there have been numerous housing and apartment developments around the city, such as Greenpark. Over 5,000 apartments, houses and villas are being built in this development alongside commercial facilities. Nairobi has always struggled with its high crime rates, especially in the 1990s when its reputation earned it another nickname, the decidedly less flattering “Nairobbery”. Armed robbery, burglary and car-jacking were common crimes here. While large homes have equipped themselves with patrol dogs, watch guards and burglar grills, many of the robberies occur in and around poor neighbourhoods that get especially dangerous after sunset. In recent years, though, the city’s crime rate has decreased due to improved police and security presence and systems. Nonetheless, it does not hurt to take precautions when living in or visiting the city. Generally, though, Nairobi is a pleasant and easy city to get around in. English and Swahili are the most commonly spoken languages. Despite the city’s crime rate, Nairobians and Kenyans in general are a friendly people. You are sure to always be greeted with a warm smile and an enthusiastic “Jambo! (Hello!)”. 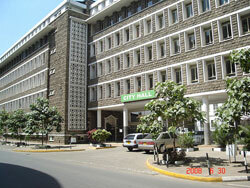 Many of the Nairobi’s most prominent buildings can be found in Nairobi’s Central Business District (CBD), including City Hall and the Parliament Building. What tourists find most surprising about visiting the CBD is its striking skyline, for which the capital can thank the construction boom of the 1990s. Most of the skyscrapers that jut and jag across the horizon are headquarters of numerous multi-national businesses and organizations. The most iconic building of the bunch is the Kenyatta International Conference Centre. The business district is flanked by Uhuru Park, Central Park, University Way, Moi Avenue, Haille Selassie Avenue and Uhuru Highway. Kibera is one of the largest slum areas in the world. It has an estimated population of one million—over a fourth of Nairobi’s population. This sad but very real place has served as the backdrop for many foreign films, most recently The Constant Gardener. A little over half of the population of Kibera have AIDS or are HIV positive. Thousands of orphaned children roam the streets. Kibera is heavily polluted with dust, soot and other wastes. Trash collects on open paths, and human and animal wastes are discarded in bags and thrown over rooftops. Poor sanitation as well as lack of nutrition contributes to the presence of various diseases in Kibera. Though under its control, Kibera does not receive nearly enough attention from the Kenyan government. The area has no roads, no water, no title deeds, no sewage system, and no government schools, hospitals or services to speak of. Despite this, Kibera continues to thrive, running its own city within Nairobi. It is complete with its own districts as well as it’s own facilities such as schools, shopping areas, medical clinics and churches, all put up by private institutions and NGOs. Homes in Kibera are usually made of mud, plastered over corrugated iron sheets or sticks and boards. Homes are usually 16 feet square and split into two rooms by a sheet. Each of these rooms can house as many as a dozen people. The paths outside are littered with all sorts of litter: worn shoes, empty lighters, rocks, wood, broken glass, plastic bags. In recent years, groups have been working together to upgrade Kibera. The Kenyan government, the UN and numerous NGOs have been working hand in hand to improve the neighbourhood’s sanitary and housing conditions. Kibera’s challenges include crime and the instability of building areas. The grounds beneath homes are layered with so much trash that more often than not, homes collapse quite frequently. This is especially true when it floods, which is often due to little or no drainage. The area is also congested beyond belief. The word “Kibera” is derived from the Nubian word “Kibra”, meaning “jungle” or “forest”. The first settlers in the area were Nubian soldiers, who were given plots of land as a reward for their services during World War I and other wars. With the changes in government and policy in the years that followed, and the number of immigrants coming into Nairobi looking for work, Kibera continued to grow and expand over the years. Karen is one of the oldest residential areas in Nairobi. It is a cozy mix of old colonial bungalows and lovely villas that sit on sweeping grounds. Homes here are sought after and expensive. The majority of the residents are European. Karen’s commercial and public services facilities make it a desirable neighbourhood: schools, hospitals, places of recreation, the modern Karen Hospital, the Crossroads Shopping Mall, the Karen Shopping Centre, the Nakumatt Supermarkets, the Karen Country Club and the Karen Blixen Museum. The Karen Blixen Coffee House and Museum also offers a look into Kenyan culture, through the eyes of Karen Blixen, the Danish author of the colonial memoir Out of Africa. She and her family ran a farm and coffee factory on the grounds where the suburb now stands, and it is generally believed that the suburb was named after her. Blixen’s home is now used for private social functions and academic conferences. The house and estate are lovely; when the house was built in 1910 with its red tiled roof and soft wood paneling, it sat cozily in a 6,000-acre plot of forestland, with 600 acres of it later developed to grow coffee. Karen is also a stone’s throw away from the scenic Ngong hills, where popular tourist attractions such as the Nairobi National Park, the Ostrich Park, Mamba Village, and the National Animal Orphanage are. Make sure to stop by Kitengela Glass, a studio that makes glass beads and stained glass. Karen has maintained its standard of living through the years, largely due to the district association that monitors the maintenance and development of the suburb. Langata is a suburb in Nairobi filled with small residences called estates. High-end apartment complexes are also very popular residential choices here. Langata has many nearby attractions, such as the Bomas of Kenya, a tourist village where numerous Kenyan tribes live and share their culture with visitors. Also within the Langata boundaries is the Carnivore complex, which has a popular restaurant and concert grounds. One of Langata’s best features are its open green spaces. The lovely Uhuru (“Freedom”) Gardens are here. Its centrepoint is a24-metre monument to the country’s freedom from British rule. It is surrounded by the walkways and green lawns. Langata shares and enjoys many of the same amenities in Karen district due to proximity. It is not uncommon for residents of Langata to head over to the Nakumatt Supermarket in Karen’s Crossroads Shopping Mall to buy their groceries. The two areas combined is often referred to asKarengata. Westland has evolved into a dense neighbourhood packed with townhouses, apartment complexes, office buildings, movie theatres, shopping malls, restaurants and supermarkets. If residents are not content with the grocery options at Sarit Centre, they can check out the YaYa Centre or Nakumatt Westlands, the most popular chain in Nairobi. 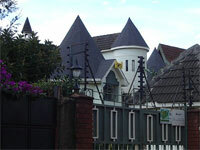 Westland is a popular neighbourhood for expats and ethnic Indians, especially working professionals. Rundu is a residential area spread out over half an acre of land. As it is not near Nairobi’s central business district, Rundu is a relatively low-density residential area with modern homes. The neighbourhood prides itself on being very secure. Access to the neighbourhood is only via two gates, which are guarded by security all day and night. Gigir’s village market and shopping centre are nearby. Rundu is a popular choice for expatriate families as Potterhouse School, Peponi School and the International School of Kenya are nearby. Ten minutes away from the heart of Nairobi is Kilimani. Residences here are mostly apartment low-rises and maisonettes. Many of these apartment blocks were built in the 1990s, replacing bungalows built decades earlier. Typically, the apartment complexes are 5-storey buildings with balconies, round-the-clock security and communal swimming pools. The more upscale apartments come with saunas and gyms. Kilimani is popular area for expatriates, whether single working professionals or with young families. Besides its proximity to Nairobi’s central business district, it is also near several international schoolsand three of Nairobi’s most popular shopping complexes: Yaya Centre, Adams’ Arcade and the Junction. Medical facilities that service Kilimani include the Hurlingham Medical Plaza, Masaba Hosptial and Nairobi Hospital. 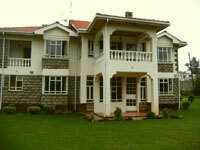 Kitisuru Estate is a quiet neighbourhood 20 minutes from Nairobi’s central business district. It is well-known to be a very secure residential area. Lavington is a high-income suburb of Nairobi, a green refuge from the hustle and bustle of Nairobi’s central business district. Lavington is a quiet, low-density neighbourhood with a great mix of housing options. Homes here are sleek modern houses with large, manicured lawns, beautiful old English bungalows, and numerous maisonettes, apartments and townhouses. Many of the homes here are gated and guarded by security guards. The area is a popular choice for expatriates families, especially those with kids attending one of the many schools in the area, which include Nairobi Jaffery Academy, St. Mary’s School, Strathmore, Rusinga and Braeburn. Lavington does not have a supermarket within the suburb but does have small shops, the neighbourhood butcher, a patisserie, a bank, a convenience store and some shopping centres. The residents living in Parklands are mostly of Asian descent, evident in the number of Hindu temples and mosques scattered throughout the area. The housing available here are large homes in private compounds, apartments and townhouses. But by number of properties in need of repair, it is obvious that it is not as in-demand a neighbourhood as Muthaiga and Lavington. Parklands is a cosmopolitan residential area with numerous retail and commercial spaces. Highridge has two supermarkets, a butcher shop, and a bakery. A stone’s throw away is Hawkers’ Market, a daily open-air market selling fresh produce. Parklands also has its own little green haven in its City Park. Little India in Highridge is a favourite hangout spot for the young crowd due to its quaint shops, restaurants as bars. When the scene gets too dreary, the crowd makes an easy move to the clubs of nearby Westlands. 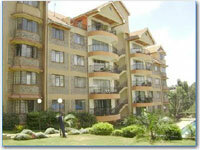 Spring Valley is a quiet, private and secure suburb in Nairobi. It is distinguished by contemporary homes scattered across the winding roads of the tree-lined compound. Aside from the shopping centre in Spring Valley, the suburb is also serviced by facilities in other neighbouring districts, such as the Westlands Shopping Centre. Spring Valley is also a great place for families who have children attending the Aga Khan High School in Parklands, or the International School of Kenya or Peponi Schools. All of these are near Spring Valley. 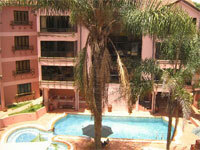 Muthaiga is one of the most prestigious addresses in Nairobi. It is where the President of Kenya lives, along with other wealthy Kenyans, diplomats, and expatriates with long-term contracts in the country. There are no apartment complexes here. Instead, grand gated estates sit on at least half an acre of land. The homes here are quite modern, and tree-shaded roads twist and wind through the abundantly green neighbourhood. The neighbourhood has a very strong residents’ association that keeps a close eye on the maintenance, security and development of Muthaiga. It is a 20-minute drive to heart of the city. But residents don’t need to go far for their basic and social needs. Outside of their own shopping centre, Gigir’s Village Market is nearby, as are the shopping centres of Parklands or Westlands. The Muthaiga Country Club as well as the Muthaiga Golf Club provides venues for casual business meetings or leisurely Sunday brunches with the family. The Gertrude Children’s Hospital in Muthaiga is the local health facility serving the residents of the neighbourhood. Gigir is a secure neighbourhood whose residents usually work for the US and Canadian embassies, the United Nations and the World Food Program. The neighbourhood is characterized by sleek townhouses and chic homes behind well-manicured gardens. The Gigir Shopping Centre, the Warwick Centre and the Village Market are excellent commercial enterprises in the neighbourhood that service the residents. Many of Nairobi’s top schools are also easily accessible from Gigir. These include Rosslyn Academy, the German School and the International School of Kenya. Kileleshwa is a middle-class suburb popular with expatriate families. It is a quiet neighbourhood of old 1950s bungalows with well-tended gardens. While other districts have built over these old homes with newer apartment blocks, Kileleshwa has managed to steer clear from modern property developers. Roads in the area, though riddled with potholes, are wide and framed by low hedges. The neighbourhood does not have a supermarket, but small specialty stores sell essentials like pastries, fresh fruit and toiletries. 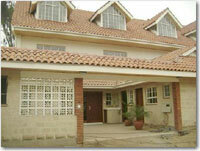 Highridge is a middle- to upper-middle class residential area in Nairobi, and part of the larger Parklands development. Stores, food outlets and service centres are conveniently located near the homes. The City Park is a nearby green sanctuary for the neighbourhood’s residents. Administratively, Highridge is considered a subdivision of Westlands. With the climbing prices of property in Nairobi’s central business district (CBD), many large businesses have been moving their locations to other, more economical, areas. Upper Hill, which is only 2 kilometres from the CBD, is one such area. International giants such as Citibank and Coca Cola have moved their operations to Upper Hill to accommodate not only cheaper rent but also to built bigger and better facilities. 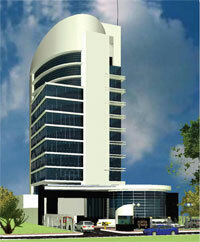 The largest office development in Upper Hill is The Rahimtulla Tower.